Thank you for visiting our website to learn more about Cutrera law firm. Cutrera Law Firm is a litigation law firm with an emphasis on representing personal injury and divorce clients. We are pleased to cover all of Jackson County, Missouri from our convenient office location at 212 NE Tudor Road, Lee’s Summit, Missouri. Our attorney office is located close by the Lee’s Summit police station and courthouse. Litigation Attorney – I am a litigation attorney. I analyze a case and prepare it for trial. If a case does not reach a fair settlement prior to trial, I am an experienced litigator that can bring the case to a judge and jury. Traffic Accidents Attorney – Often, one is injured through little or no fault of their own; the responsibility (liability) rests with another. For example, in the case of many auto collisions, the responsible party is another driver or an auto manufacturer. Nick has received many Attorney Awards and Recognition during his time practicing law in the Kansas City, Missouri area. Nick has consistently been recognized by his peers as one of the best attorneys in the Kansas City metropolitan area by earning the Kansas City Business Journal’s Best of the Bar distinction in 7 of the last nine years (2008,2010-2012, and 2014-2016). 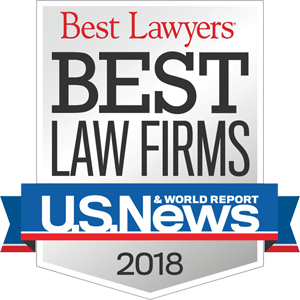 He has also earned the nationwide “Top 100 Lawyers” from the American Society of Legal Advocates for the last four consecutive years.Nick is first and foremost a trial attorney. If he can not achieve a fair settlement prior to trial, Nick has the experience to bring the dispute to a judge and jury.